Our Career Mentorship Program connects undergraduates (Major or Specialist) with supportive alumni of computer science, who are working in the field, and are willing to share their academic and career experiences with a student mentee who is preparing for their own path. For 11 years, hundreds of students have benefited from the insights of our graduates, and many of our mentors have been a part of our program since its inception. The program runs from January to April. 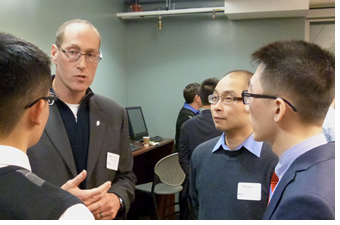 Mentors meet their student mentee at a launch event in mid-January. Students are also required to attend a prep session prior to the first event, and submit reflective exercises throughout the program.